We feasted on vegetables from the farmer's market over the long holiday weekend. Corn is a household favorite these days so we have to grill two ears for the boy. He ate both! We also picked up some semi-hot peppers, which were actually fully hot just to be clear. Tossed them on the grill with a little olive oil until they charred up, smashed them with a fork and spread on a nice grilled baguette. It was so simple but so tasty. I think it would make a great dip if you mixed it with the right cheese. 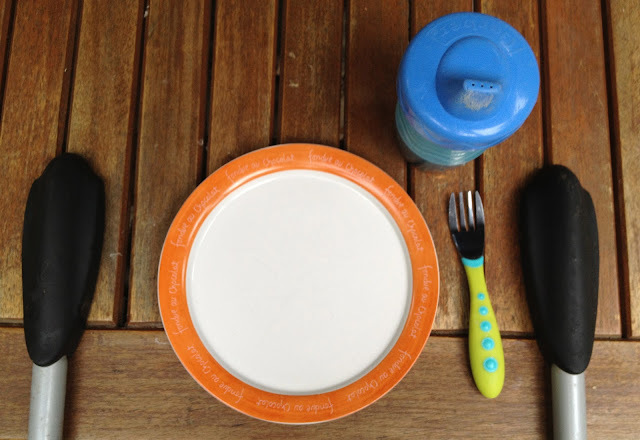 Oliver's place setting makes me happy. Glistening peppers ready for the grill. Yow, they were spicy! 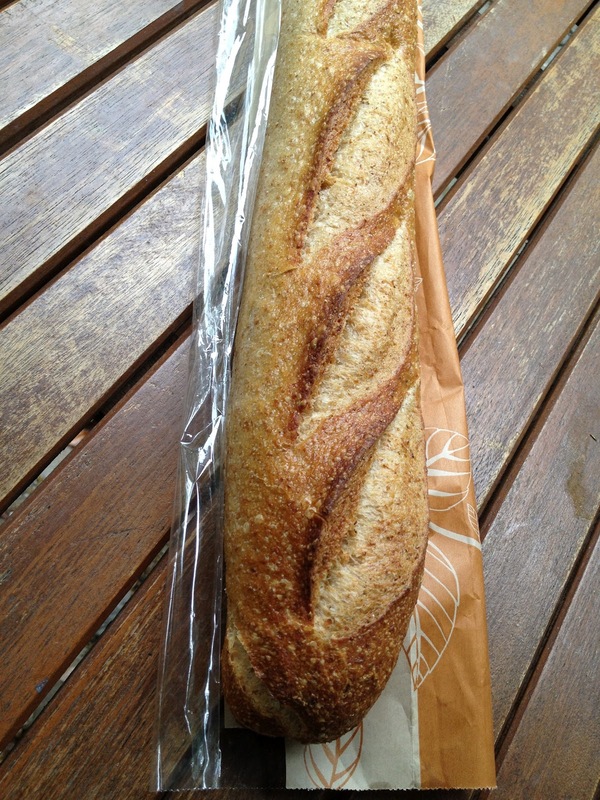 And a nice country wheat baguette to round out all those veggies. 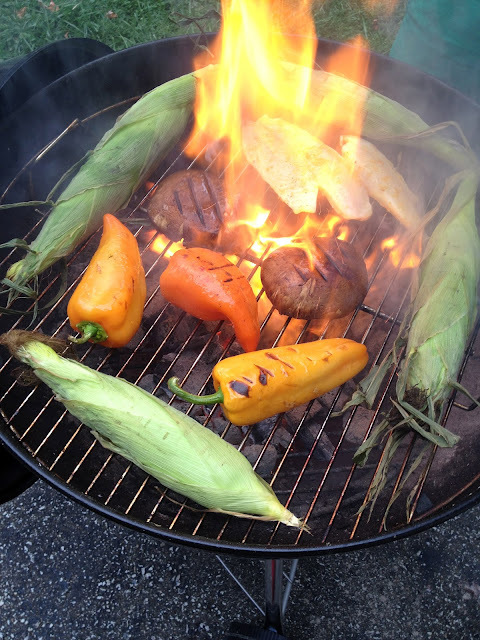 What are your favorite things to grill?